we are providing flying Doll without stand as show in pictures.. The display stand lets your fairy friend rest and show off her beautiful wings. Push the stand's button, and she gracefully takes to the air. You control the fairy when you place the palm of your hand beneath her. She will fly higher or lower as you raise or lower your hand. Only Flutterbye Flying Fairies can bring the magical experience of real fairy flight to life! 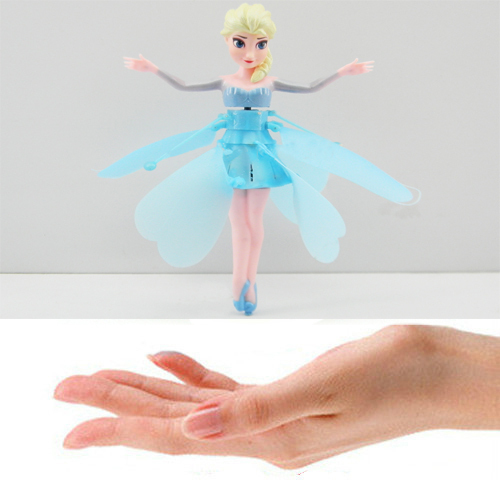 Engage in the magic of Flutterbye Flying Fairies by controlling the graceful flight with the palm of their hand. Flutter Bye Flying Fairies bring the magic of Fairies to life for girls ages 5-9 and nor batteries required for operation.